Kawasaki India today introduced to us the Ninja ZX-14R priced at 17.9L Ex-showroom Delhi and the Ninja ZX-10R priced at 16.4L Ex-showroom Delhi. They took this opportunity along with Bagga link who inaugurated their new Kawasaki showroom in Gurgaon. 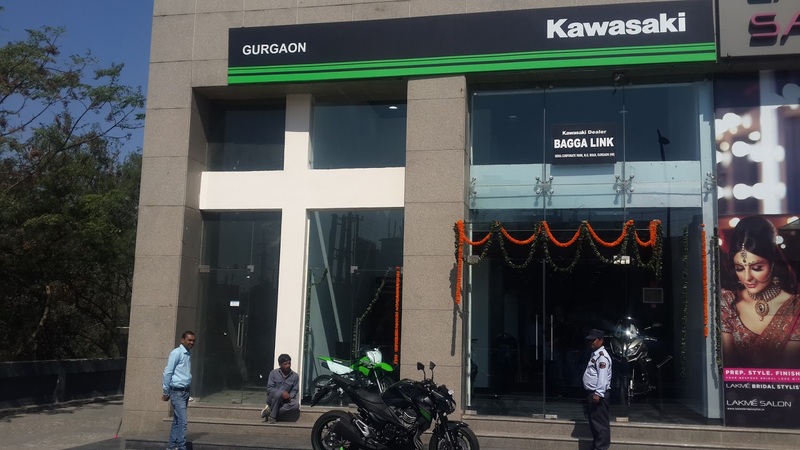 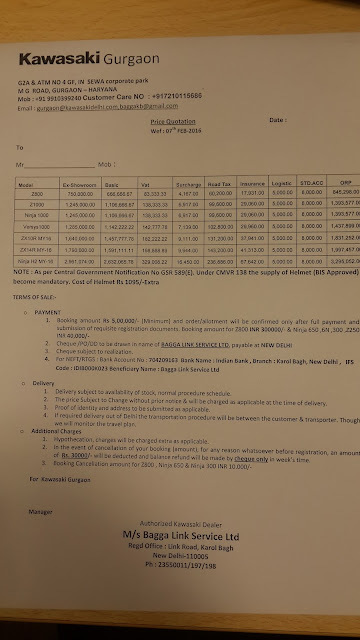 Kawasaki will be opening two more showrooms this month, one each in Ahmedabad and Coimbatore which will bring their count to 12. 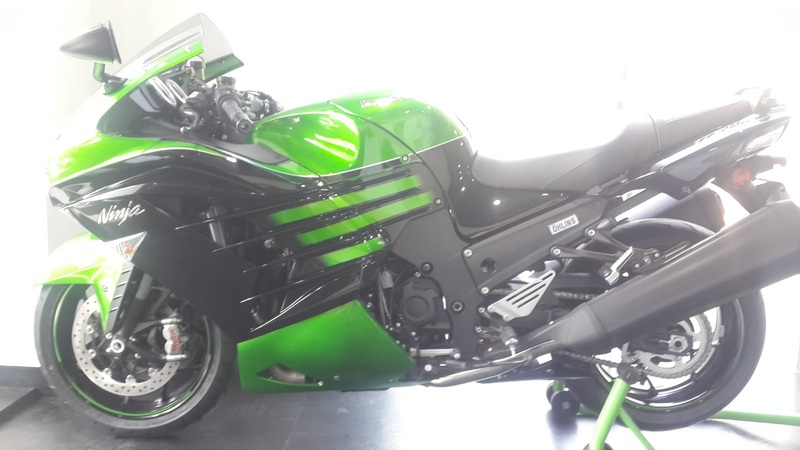 By the end of 2016, Kawasaki intends to take their total to 15 showrooms all over India. On the 2016 Ninaja Zx-10R, some of the major changes from 2015 are - Brembo Front Brake System & a lighter crankshaft that supposedly develops 20% less inertia. With their next level of electronics now, the IMU provides a higher layer of precision along with S-KTRC, KLCM (Kawasaki Launch Control Mode) & KIBS. 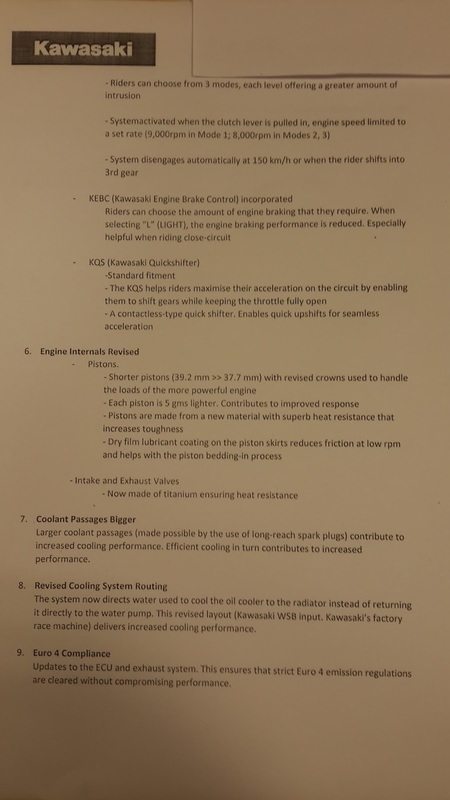 The S-KTRC now has 5 modes of traction as compared to 3 in the previous model, with the incorporated KEBC( Kawasaki Engine Brake Control), riders can choose the amount of engine braking required. 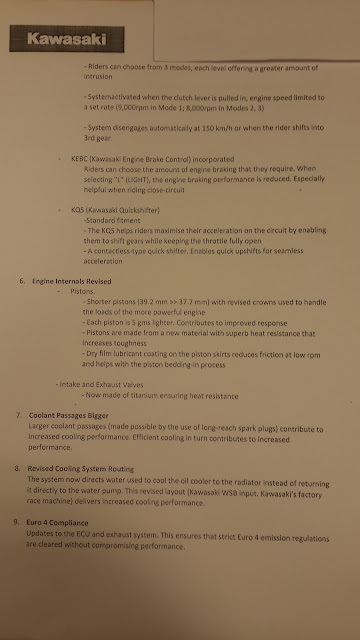 There are many other internal engine changes that also include newly designed intake and exhaust ports, larger diameter exhaust valve and a lighter balancer to name a few. 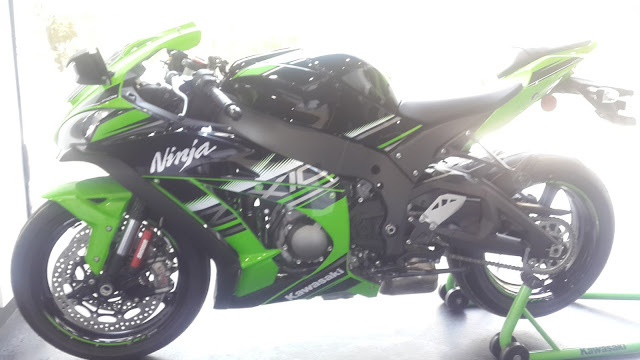 The 2016 ZX-14R now comes fitted with a Brembo front brake system and Ohlins rear suspension. 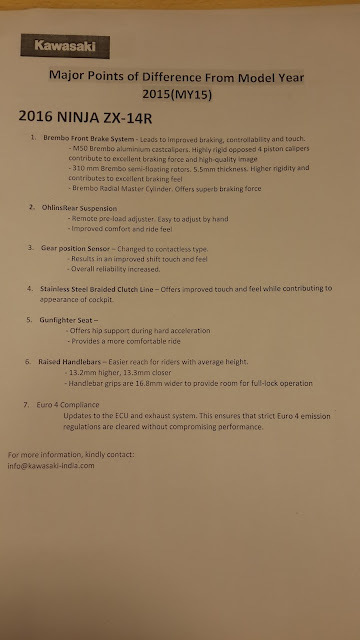 The gear position sensor has been changed to contactless and stainless steel braided clutch lines now come as standard to name a few. Both bikes now are Euro compliant and be bought immediately. 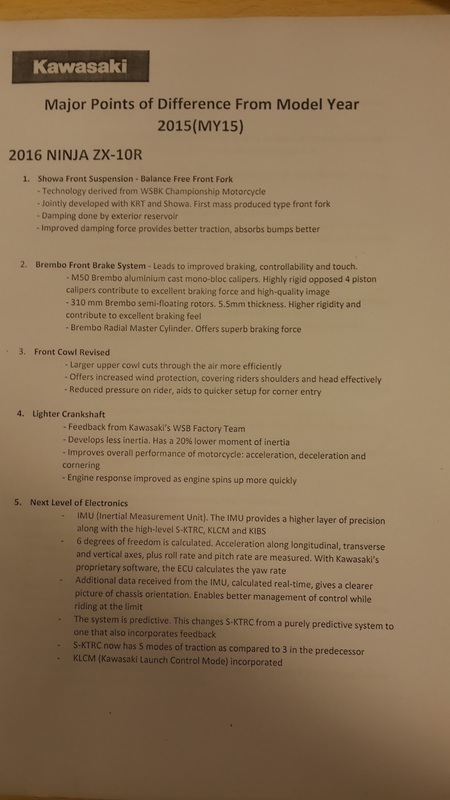 Until ThrottleQuest gets to review, refer to the specifications below for differences between the 2015 & 2016 models.